A Boone County man accused of killing his mother, a family friend and two dogs in October 2015 has been sentenced to life in prison, while his father is suing Sheriff Mike Moore for not properly protecting one of the victims. The Harrison Daily Times reports, according to court records, 39-year-old Glen Froehlich appeared in Boone County Circuit Court on his birthday Friday and pleaded no contest to capital murder of his mother, 61-year-old Helen Froehlich, and a long-time family friend, 60-year-old Frank Simpson, at their residence near Lead Hill. Records show a group of ladies conducting a bake sale in the community Oct. 3rd, 2015, called the sheriff's office stating they hadn't been able to make contact with Helen Froehlich since the prior Thursday and asked for a welfare check. Deputies found Helen Froehlich dead in bed and Simpson dead in a small apartment area in a nearby barn. An arrest affidavit noted both had died of apparent multiple gunshot wounds. According to the affidavit, "It appeared the victims were taken by surprise as Frank was shot while sitting in his office chair sitting behind a desk at a computer and Helen was shot while in bed watching TV." Two dogs were also found shot to death. Helen Froehlich's husband, Albert, told investigators Glen Froehlich might be inside a home under construction on the property. Deputies surrounded the under-construction structure, but verbal commands from a PA system went unanswered. The affidavit noted a noise flash diversionary device was deployed through a front door glass window, awakening the suspect and verbal contact was made. 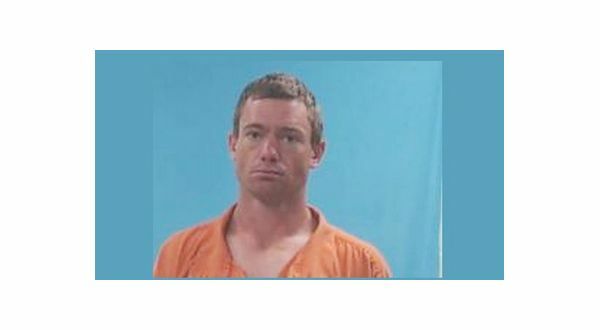 According to court records, Glen Froehlich was charged as a habitual offender with possession of firearms by certain persons, felony with a firearm and two counts each of capital murder and cruelty to animals, as well as the sentencing enhancement of aggravating circumstances. On Friday, he pleaded no contest to the murder and cruelty to animals charges. He was sentenced to life in prison and one year in the Boone County Jail respectively, with those sentences to run concurrently. Court records show the state declined to pursue the other charges based on the life sentence. The Arkansas Department of Correction website indicates Glen Froehlich was transferred to the Ouachita River Correctional Unit in Malvern on Friday. In the meantime, Albert Froehlich has filed a civil lawsuit against Sheriff Moore, claiming the sheriff's office had known Glen Froehlich was a danger to his mother as early as 2009. According to the lawsuit, Helen Froehlich called the sheriff's office in August 2009 to report her son "was on some kind of high" and had become physical with her at the residence to the point she locked herself inside her car. Deputies found Glen Froehlich standing outside the vehicle cursing at his mother inside. The suit claims he was arrested for assault on a household member and public intoxication. Other incidents were reported to law enforcement in 2012 and 2015. The lawsuit also cites a Harrison Daily Times report in 2015 in which Moore said Glen Froelich was identified as a co-conspirator in a plot to affect a prisoner's escape in conjunction with the planned kidnapping of then-Newton County Sheriff Keith Slape's son. The lawsuit alleges Moore and his department failed to protect Helen Froelich and requests compensatory damages from the sheriffs office for the Boone County woman's death, funeral expenses and other financial damages. Online court records indicate the sheriff has denied all allegations in the lawsuit. That case is scheduled for jury trial Sept. 23rd.